Book Three contains exercises at approximately grades 6, 7 and 8 levels. Each book contains 90 exercises; these are based on the same material but altered to suit the different requirements of each instrument. The exercises demand technical skills as expected at this level such as etouffes, 4-fingered arpeggios, glissando, polyrhythms, pres de la table, xylophonics, harmonics, lever changes and slides and increasingly difficult pedal changes and pedal slides. 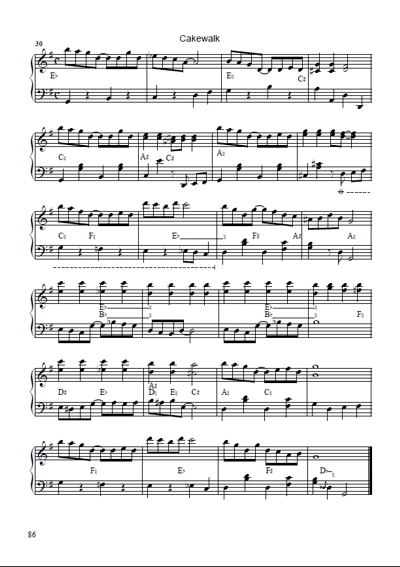 The use of mixed meter, irregular beat divisions, and a wide range of tonality including bitonal, whole tonal, atonal and modal music gives variety to the exercises which increase in length throughout the book. As in the previous books, the lever and pedal pre-settings are indicated at the start of each exercise and there are explanatory notes for some of the technique. 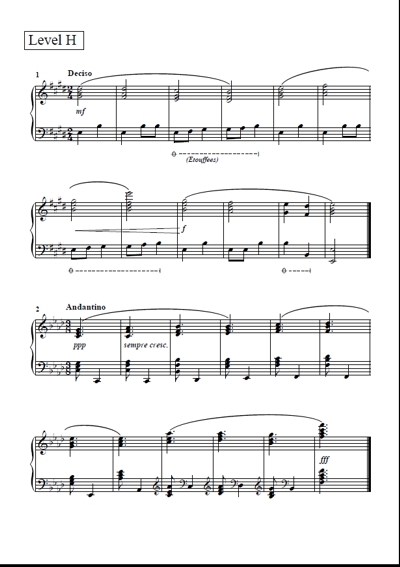 In an effort to move the music from the realm of an exercise into real music, some of the exercises have titles and become short programmatic pieces. 86 pages. 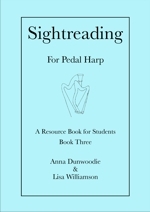 As harp teachers we have been constantly frustrated by the lack of sightreading resources for our instrument. To help overcome this, we started writing sightreading for our own students. Two heads are always better than one, so we combined our compositions and compiled this book. It is a resource book rather than a tutor, and has been designed to give students sufficient practice at an intermediate level. Please respect the copyright on this book. Time Signatures: all regular simple and compound; irregular; mixed meter. Keys: any major and minor; modal: modulation. Note Values: all common; tuplets. Dynamics and Tempo: all dynamics from ppp to fff; tempo changes; use of less common tempo markings. Features: etouffes, wide leaps, xylophonics, chords rolled between hands, more complex texture, left hand melody, polyrhythms, harmonics, challenging pedal changes, wide range of styles.